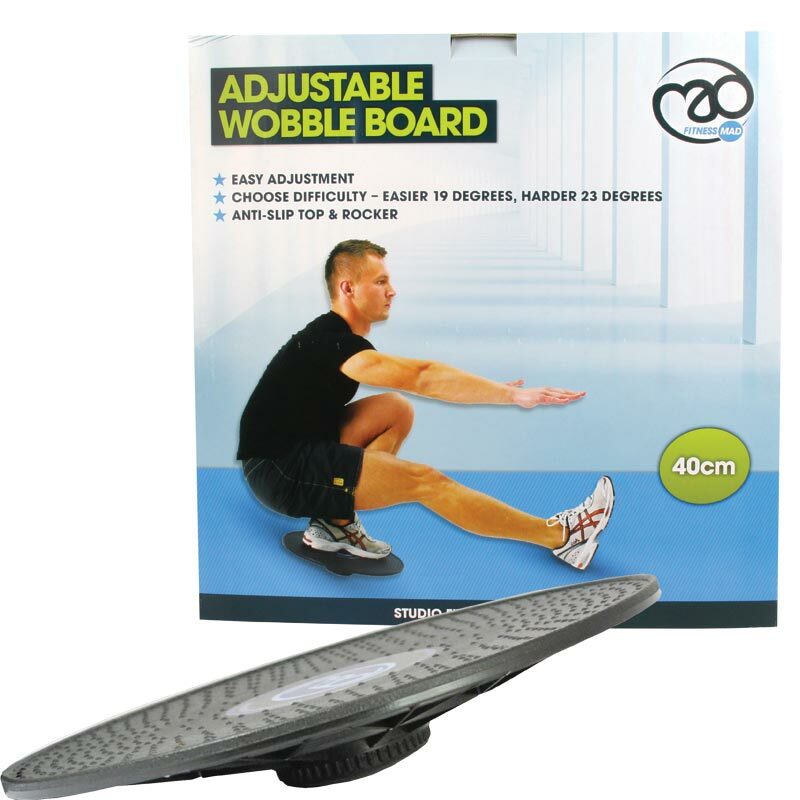 Regular use of the Fitness Mad Adjustable Wobble Board is the perfect way to improve your balance, increase core strength and improve one's range of movement. 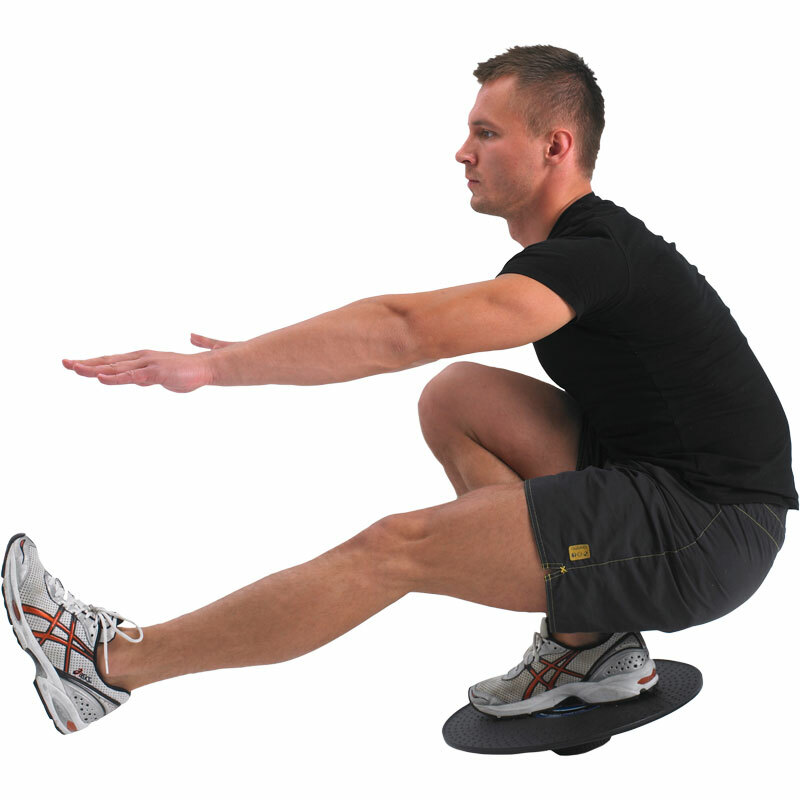 By improving proprioception through balancing exercises wobble boards can help to protect the body from injury. 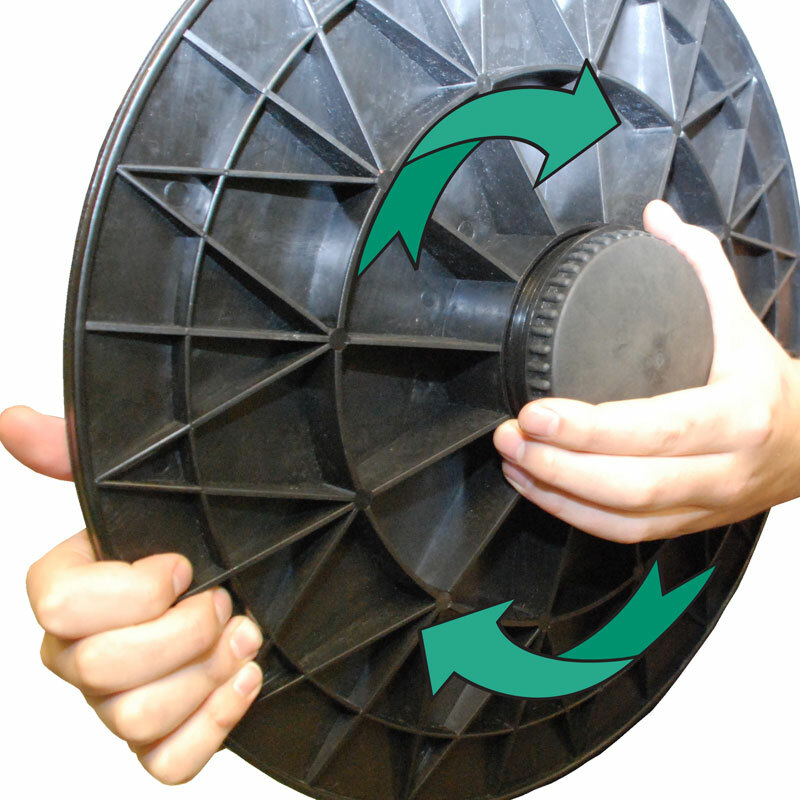 40cm diameter adjustable wobble board. Offers angles between 19 and 23 degrees by simply screwing to rocker in or out. Allows progressive improvement of balance. The more you screw out the base the greater the angle and difficulty. The board arrived in good time and it wobbles like a good'un. The adjustment mechanism, like the rest of the board, seems pretty robust.